Late yesterday video games publisher THQ announced that it had filed for Chapter 11 bankruptcy protection. A company called Clearlake Capital Group has agreed to buy THQ’s assets, including four studios and games in development, for $60 million. Clearlake will allow THQ to continue to go about its business as it did before. Also because it is serving as a “stalking horse bidder” other interested parties are allowed to come forward with competing bids within the next 30 days. An analyst speaking to Reuters said larger publishers like EA or Ubisoft may be interested in some of THQs studios or intellectual property. As the news broke, shares in THQ, traded on the NASDAQ exchange, plunged by 74 per cent. At the end of trading last night the company’s market cap was only $2.7 million. According to Reuters, THQ was struggling to make payments on a loan from Wells Fargo bank last month. Company president Jason Rubin also was positive about the future “We have incredible, creative talent here at THQ. We look forward to partnering with experienced investors for a new start as we will continue to use our intellectual property assets to develop high-quality core games, create new franchise titles, and drive demand through both traditional and digital channels,” he said. Only recently THQ drummed up over $5 million in sales in just a couple of weeks due to the release of the THQ Humble Bundle which included titles such as Saints Row: The Third, Company of Heroes and Darksiders. 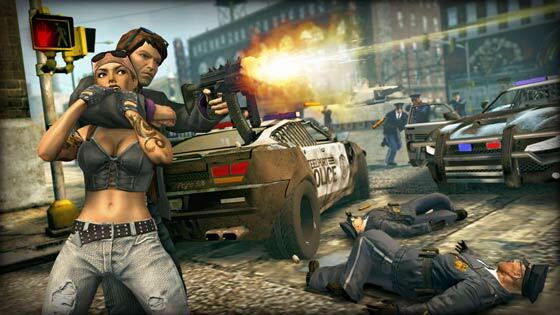 Very sad to hear this… THQ made some fantastic games so I will be sad to see them go. Hopefully someone other than EA and Ubisoft buy the assets as they will ruin what is left of those core games. They will enforce the use of Origin or UPlay and water down content in favour of DLC to milk the cash cow. Chapter 11 isn't “we're ****ed, lock the doors” - that's chapter 10. Chapter 11 is “we're ****ed, declare bankruptcy so we can renegotiate our contracts with out creditors, stat”. You've likely flown with an airline or shopped in a store that filed for Chapter 11 (or the UK equivalent, e.g. GAME) at some point in its life. Or watched a movie, for that matter - MGM filed for chapter 11, and released Skyfall and The Hobbit. The best way for THQ's investors to make their cash back is for them to have some tearaway successes - their best chance for that is for CoH2 and Metro:LL to ship and be brilliant. I don't belive it will have any effect at all, as they have only filed for bankruptcy. They will be allowed to continue business as usual but only to pay back debtors so sales of their core IP and any huge sales they continue to have have a chance to save them. Go on Gabe, buy THQ. You can make daft wrestling games and COH.